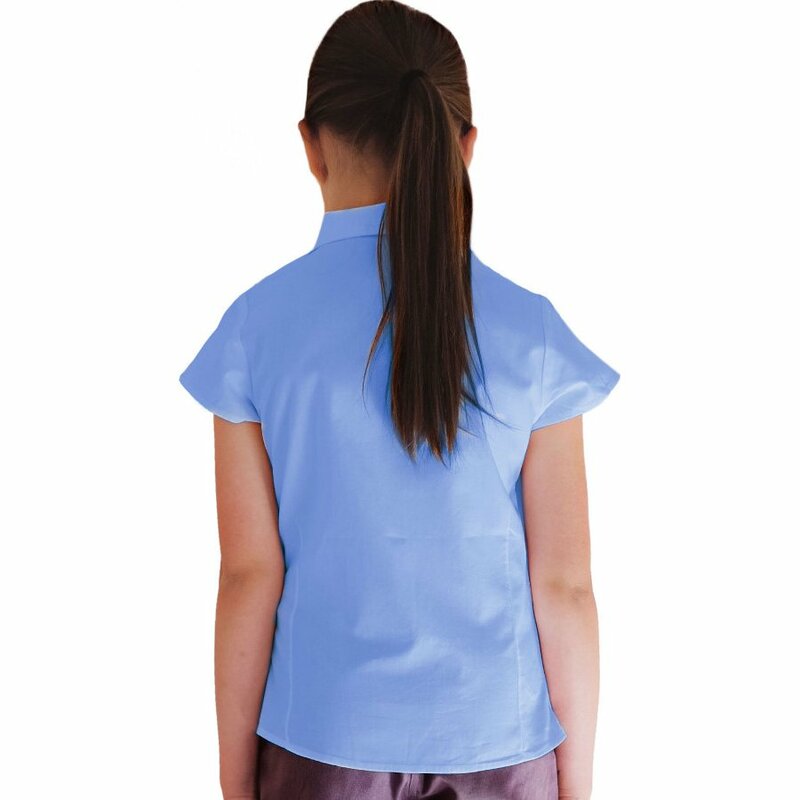 Smart, soft, comfortable and durable, this breathable organic cotton cap revere collar blouse with capped sleeves is ideal for children with sensitive skin. Free from toxic coatings, it is kind on your childs skin and the planet. Organic cotton is not treated with chemicals to prevent shrinkage so garments are cut more generously to allow for this shrinkage. Once washed and dried they will have shrunk to the marked size. GOTS certification guarantees that everybody involved in the production chain is earning fair wage and no child labour is used. By buying GOTS certified products you are not just buying organic, you support sustainability and ethics in textile industry. Machine wash inside out at 30oc using eco or non bio powder/liquid, line drying and ironing whilst slightly damp for best results. 100% GOTs certified organic cotton which gets softer with every wash. 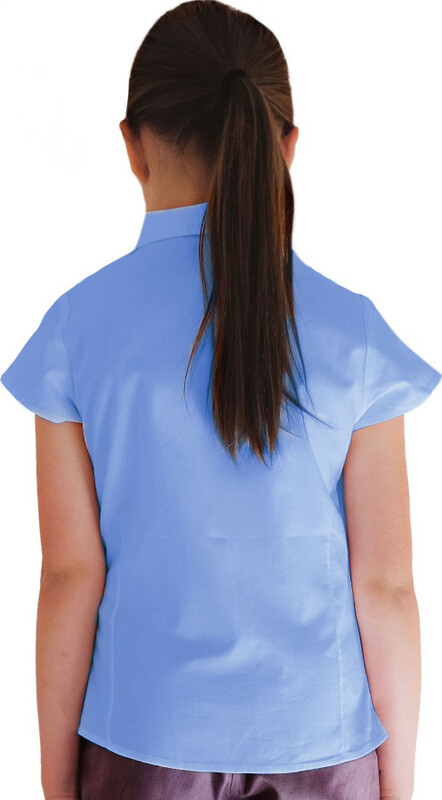 There are currently no questions to display about Blue Short Sleeve Blouse - 10yrs+. 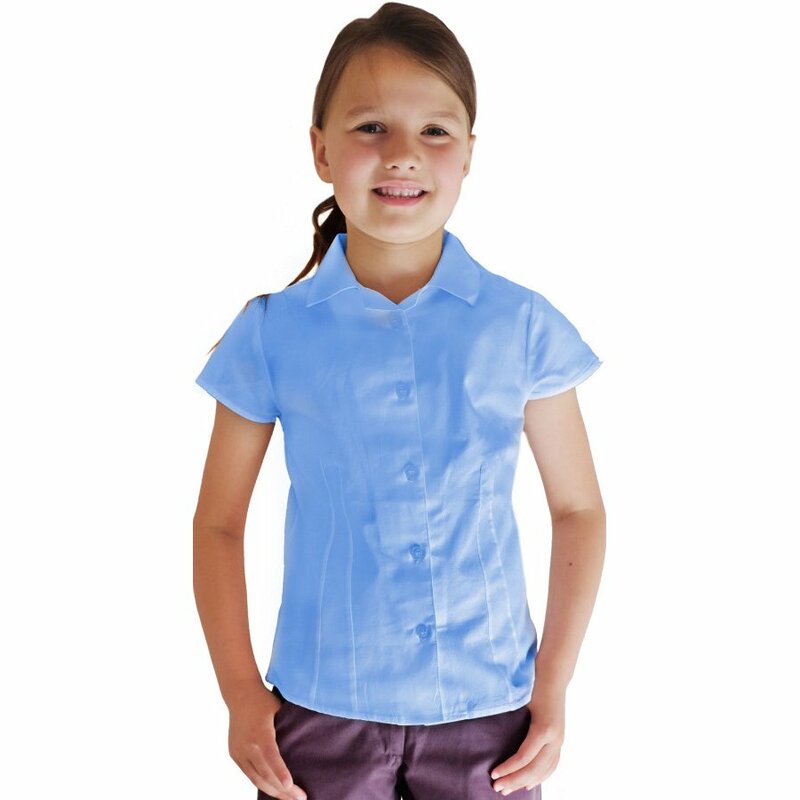 EcoOutfitters is a new ethical, sustainable school uniform company set up by two mothers who are passionate about improving school uniforms that our children spend so much time in. This project came about after their children started school, when they realised that most of their school clothes contained dangerous chemicals treated with stain resistant, crease resistant Teflon coatings, which can be harmful for their health and the environment. Children wear school uniform for at least 35 hours a week, so naturally these are the most important items of clothing in their wardrobe. Unfortunately, most of school clothes are made from either a polycotton mix or plain polyester, which is essentially plastic - a substance derived directly from crude oil. These common fabrics aren't sweat absorbent, don't allow the skin to breathe, and can trigger rashes and aggravate skin conditions such as eczema. 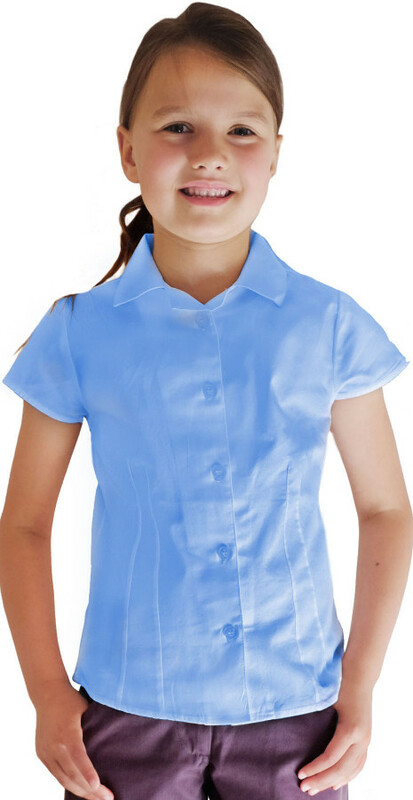 To address this, EcoOutfitters created school uniforms which are ethically made, healthy, sustainable, and durable - all made from 100% pure organic cotton certified by GOTS (Global Organic Textile Standards) who guarantee that the whole supply chain from field to final product meets strict environmental and social standards.